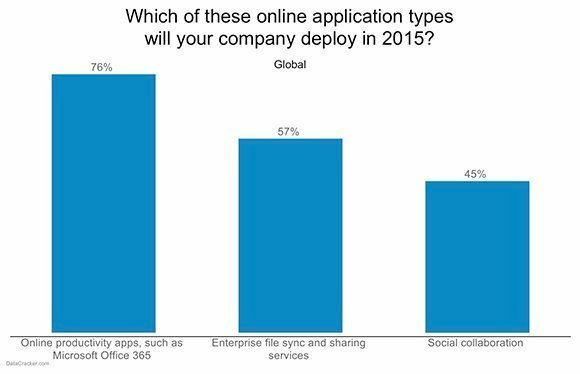 IT Priorities 2015: Desktop applications move to the cloud - IT priorities 2015: How will IT decision makers spend this year's budget? The growing acceptance of cloud applications will influence future desktop strategies as businesses move away from traditional Windows-based PC upgrades. The TechTarget IT Priorities 2015 survey reported that IT spending on cloud computing ranked third (39%) behind spending on hardware (45%) and software (48%). When asked which areas of their IT budgets would decrease, 63% of IT decision-makers said they would spend less on hardware and 49% said they would spend less on software.